Amy has been selling real estate for more than 18 years and leads the highest producing real estate teams in South Dakota. Amy grew up approximately 20 miles south of Sioux Falls in Canton, South Dakota. She completed her education at the University of South Dakota, and settled in Sioux Falls to begin her real estate career in 2000. Amy’s partner in life, Adam Stockberger, is also her partner in business. They reside in Sioux Falls with their two sons, Logan and Legend. Amy’s work, large community of family and friends, and her sons’ activities, have provided many opportunities for her to travel to and become well acquainted with the communities surrounding Sioux Falls. Her knowledge of the Sioux Empire is a valuable resource for clients whether they are life-long residents or completely new to the area. Amy leads the largest real estate team in South Dakota and they were ranked by The Wall Street Journal Real Trends as #161 in the nation for production. She consistently has been voted “Local Best” by the community since 2009. In 2018, Sales and Marketing Executives, Inc. (SME) of Sioux Falls presented Amy with the award of Entrepreneurial Excellence. Amy has designation as a Sellers Representative Specialist (SRS) Seniors Real Estate Specialists (SRES) and Short Sale and Foreclosure Resource (SFR). 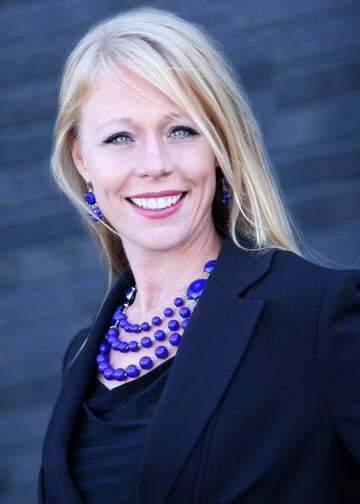 She is a member of the Sioux Falls Area Chamber of Commerce, The Realtor® Association of the Sioux Empire (RASE) and is a member of the Home Builder Association. She volunteers at The Banquet, Sioux Falls Public Schools, and her church. You may have seen Amy on the HGTV show “My House is Worth What?” where she has appeared as a real estate expert in several episodes. Her extensive experience and real estate knowledge, use of cutting-edge technology and proven system centric-client focused approach will make her the best candidate to meet and exceed your real estate needs.